Centenary Baton Watch! … Hampshire | Crowlas & Ludgvan W.I. By vintage bus and fire engine, on horseback and by boat – the Centenary Baton continued its journey with a visit to Hampshire last week. The baton was welcomed to Hampshire with a hand-off from the West Sussex Federation. Click here to listen to a BBC clip of the Mayor of Havant welcoming the baton to Hampshire, and then to Hampshire Federation baton coordinator Ros Cooper who describes the baton as “terribly unexciting, really”! 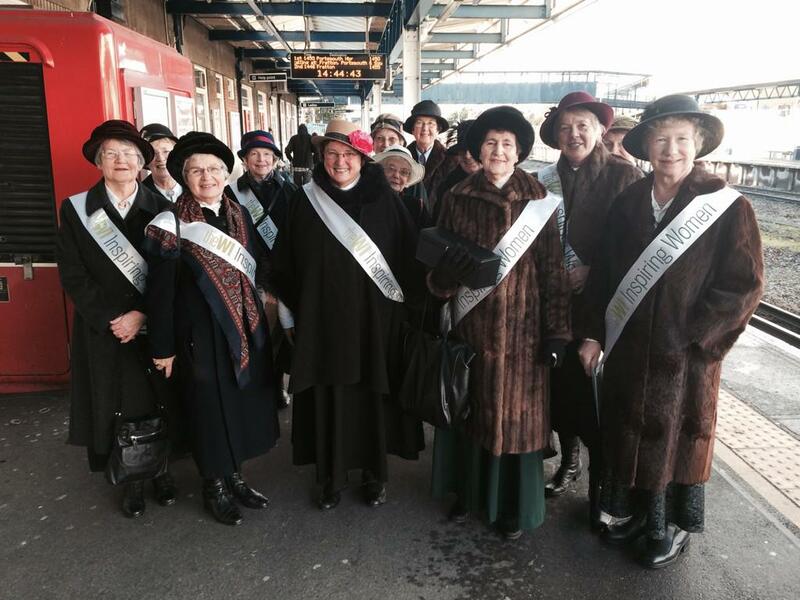 Staunton WI members dressed as suffragettes for the occasion. 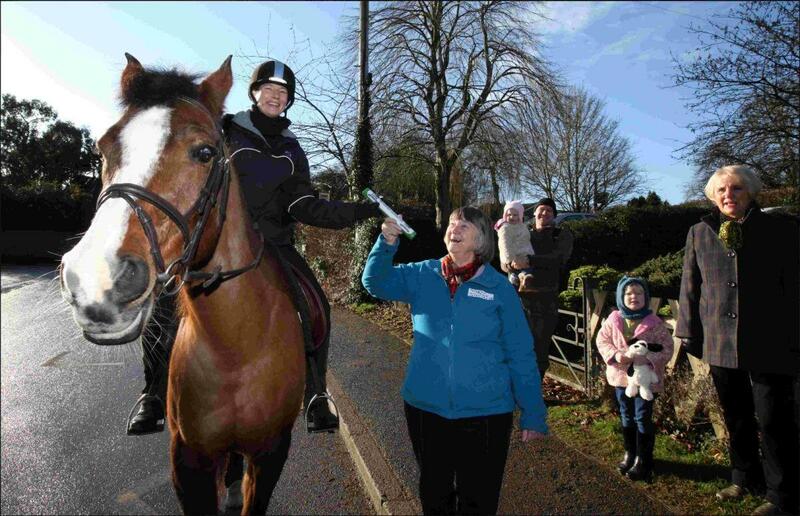 Hampshire WI member Zoe Stanley brings the baton to West Tytherley Primary School on horseback.The baton made its way from Twyford into Winchester city centre on Friday, with a torch-lit procession taking place down to the High Street to the Guildhall. 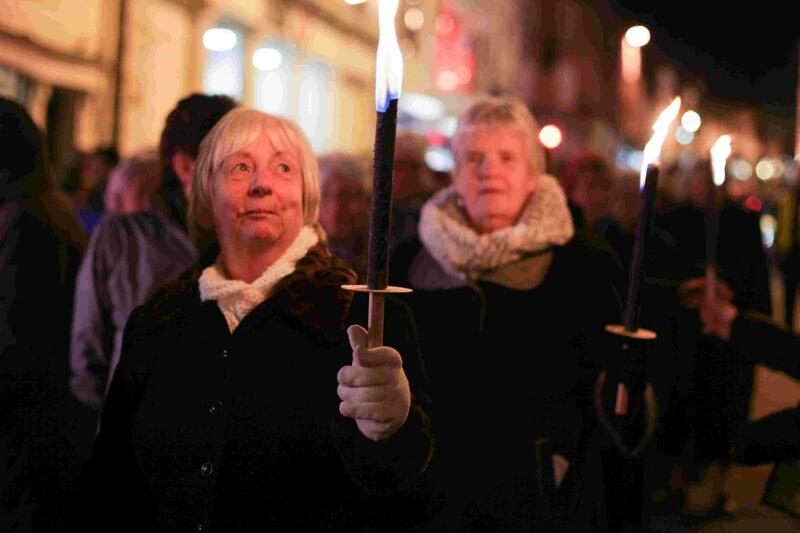 The baton made its way from Twyford into Winchester city centre on Friday, with a torch-lit procession taking place down to the High Street to the Guildhall. The Winchester leg started on Thursday with a celebration in Alresford. 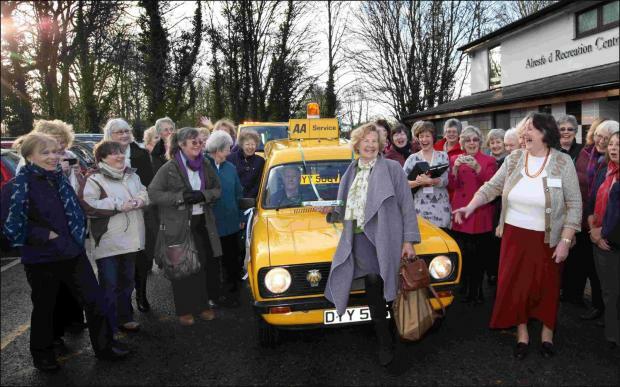 Branch chairman Gill Graham Maw carried the baton from Basingstoke in a 1979 AA van and was greeted with cheers and clapping. 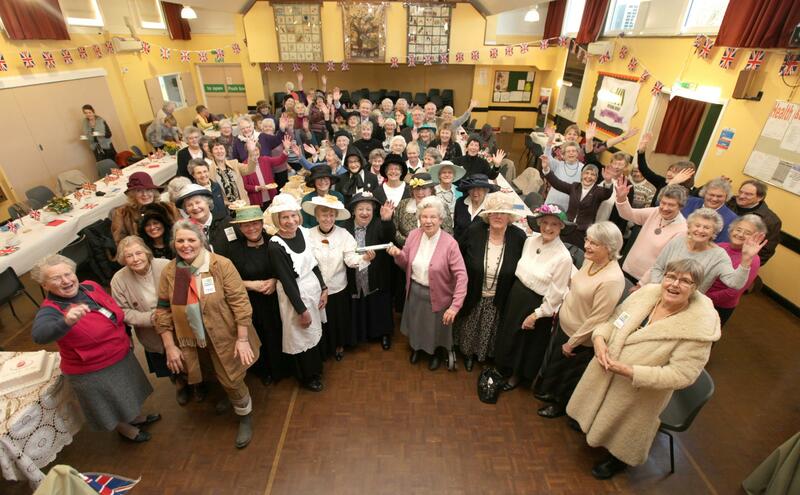 Copythorne WI held a party at the village hall, with all members suitably costumed. 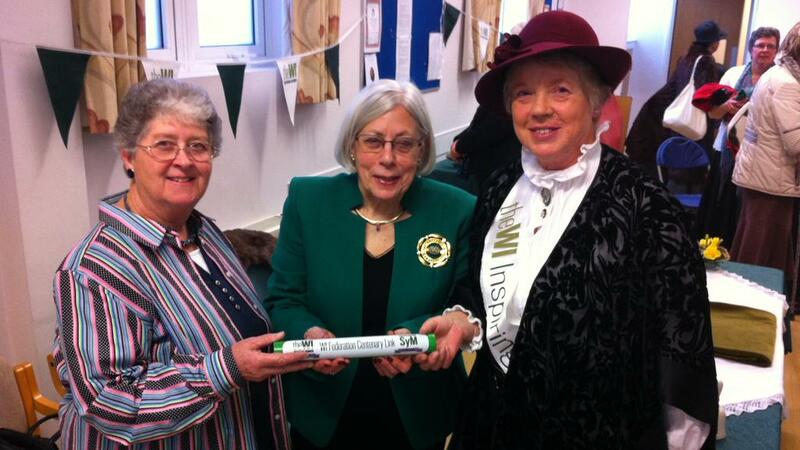 This entry was posted in Uncategorized and tagged baton, centenary, Hampshire. Bookmark the permalink.